Here I am again folks. Wolvenciel here to fill up today's post with a small, underdog anime review that is really just mediocre at best UNLESS you played the game. I'll be calling the anime SRWOG2 from this point on as to not complicate myself typing this. Seriously. Too long. Don't be weirded out, I'm doing this for those who didn't play the game. I'll explain why I say this anime is just for those who played the game. 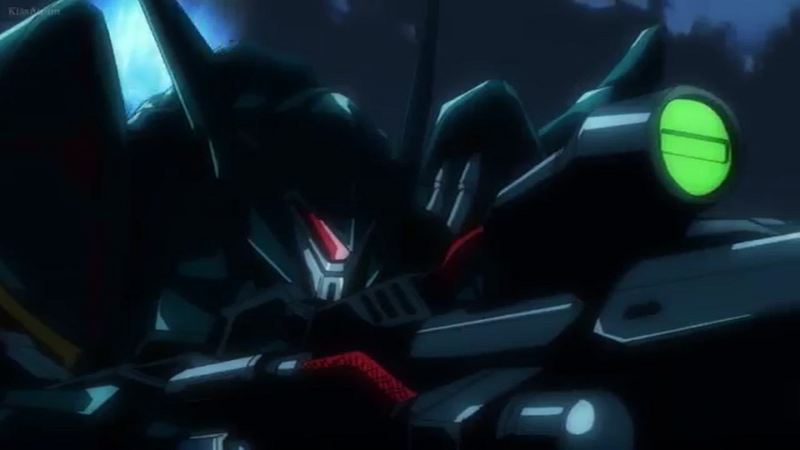 First of all its all fanservice and no explanation at all. You will have no idea what is going on or what is happening at the time in the anime. The guys who made this assumed that you played the game already so you know the plot and all the complicated lengthy explanation about EOTs and robotic research institutions and aliens and such. The plot WILL NOT explain anything much except maybe a few key points of the anime (which in my opinion is not enough explanation at all). 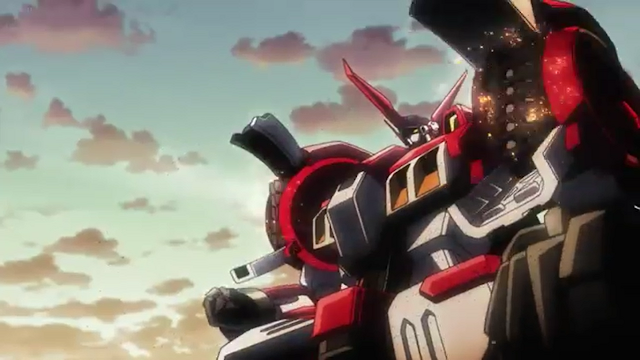 The animation itself isn't all that great. 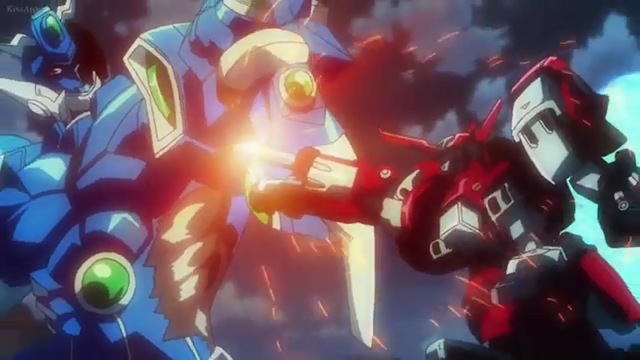 It is not as flashy as other mech anime during its time and some of the mechs that are portrayed in the anime are worse than their game counterpart. So there's that. Its aired in 2010. 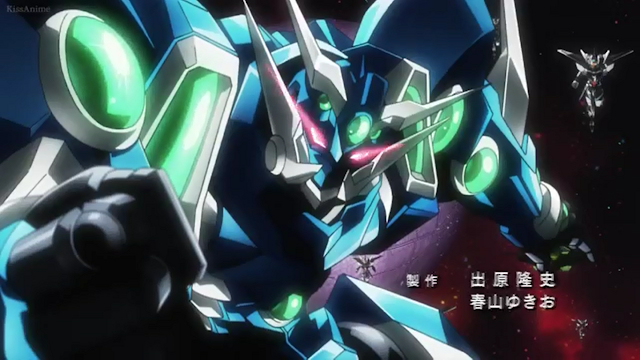 That's two years after Gundam 00 and it was still not on par with that. 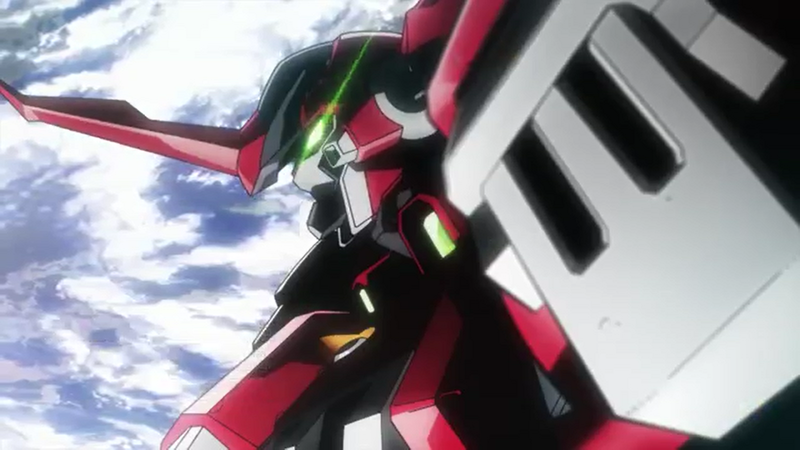 Even if you're a mecha fan I'd suggest you play the game first rather than watch this anime because well... everything was delivered better in the game rather than in the anime. 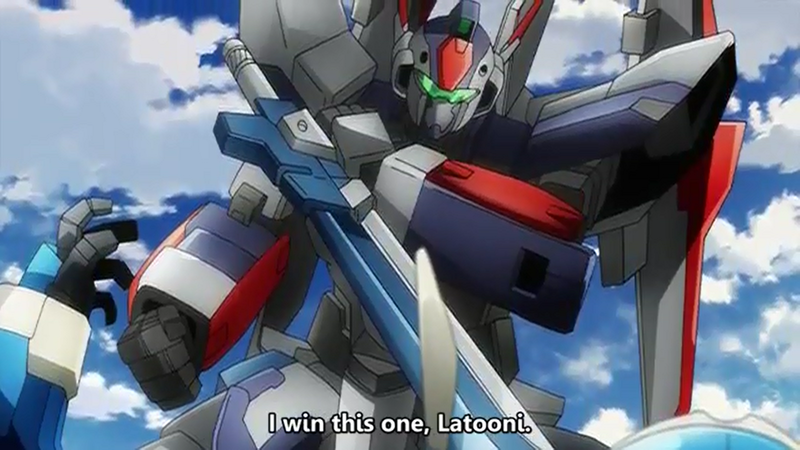 If there was anything worth watching in this anime at all (if you did not play the game) it would be the bits of light jokes here and there sewn together in the anime by a favorite character of mine and also the variety of unique mechs actually appearing in the anime (trust me, all these characters are test pilots. All their robots are prototypes and each unique in their own way). This is one of those things that you won't react to if you didn't play the game. Yes. That's a sub title and also another warning. You really should not watch this anime if you haven't played the game and fair warning, the game is either in japanese language for the PS3 console or english for the gameboy advance (the former is a remake) so think twice before trying to play. That being said, the game itself is not too bad. Heck its a very nice turn-based strategy game which has a wide roster of playable mechs and a very engaging (yet really cliche for today's standards) story line and characters. So again. From hereon, the review would only be understood 100% by those who played the game. I warned you. I know that sounded really negative but yeah I admit it this anime is totally a fanservice for those who played the game. I mean come on. All of the cool stuff you actually read while playing the game is fully animated now. You can actually see that Alteisen strutting and reloading that revolving stake while killing people left and right with it. You can see all those Grungusts' final moves and how these robots fight against each other. 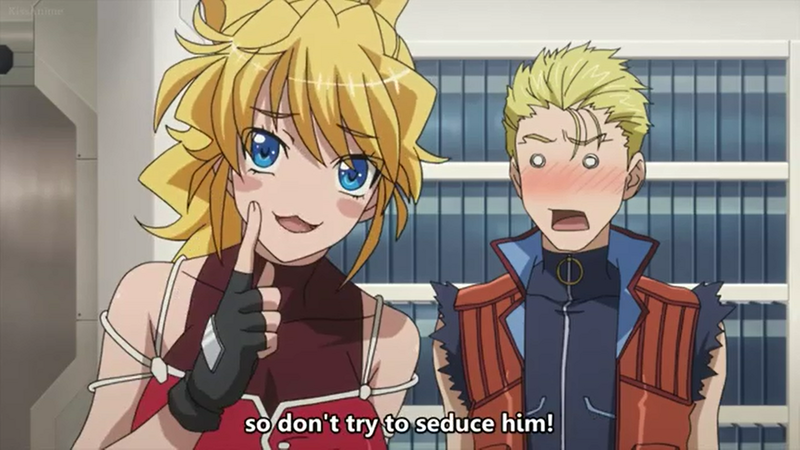 If that still doesn't spell fanservice, I don't know what is. See that? 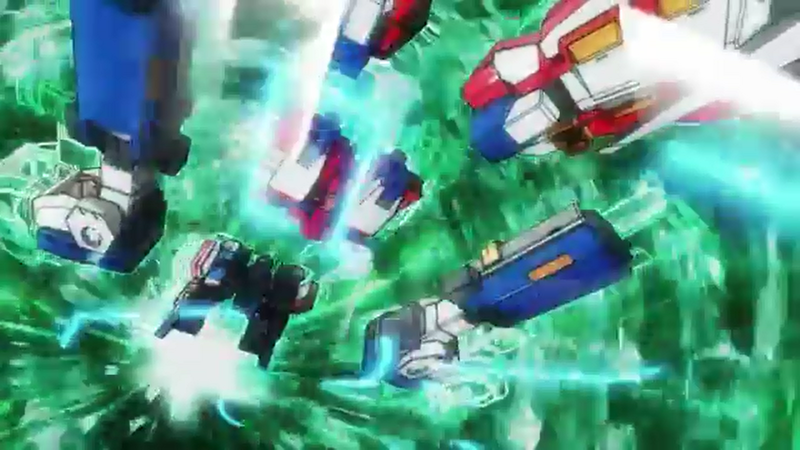 All those pretty pretty mechs are now animated. 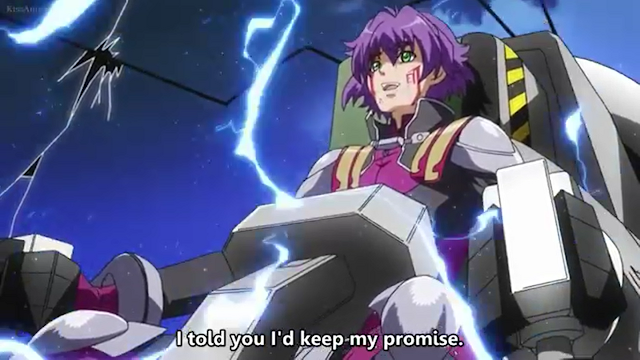 This is like one of the best thing an SRWOG player can have. 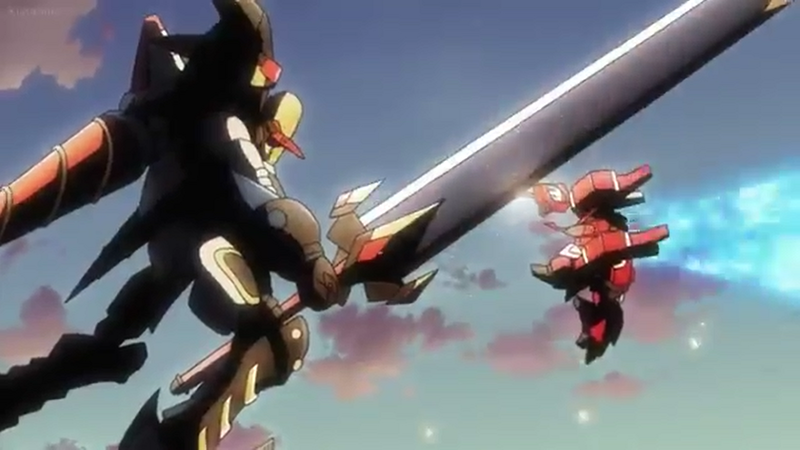 And yeah, again I'll mention that there are some pretty nice scenes of a super robot fighting a real robot, a super robot fighting a super robot, and so on. Oh and just so you people still can't accept that this anime IS fully fan service, here's a bit more where that came from. 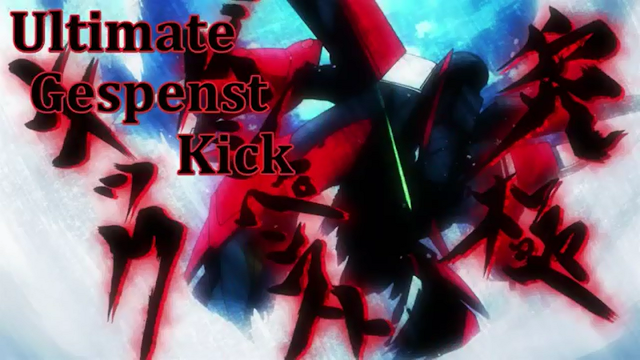 The anime never failed to bring each and every single Alteisen moment from the game and animate them (because both Kyousuke and Alteisen were pretty much too OP in the game) and there's even that one nonexistent scene that they added which was the Ultimate Gespenst Kick (which is totally Major Kai's final move) but I admit, I fangasmed each time I saw this red mech come out in the anime. Now, if you're smart enough you'd realize I am one of those Alteisen fanboys. Moving on. 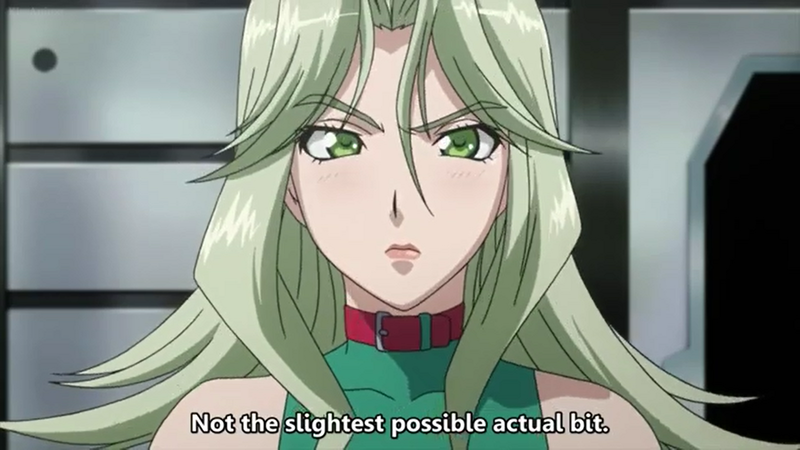 This alone is a strong enough reason already for you gamers(who plays SRWOG2) to watch this anime. 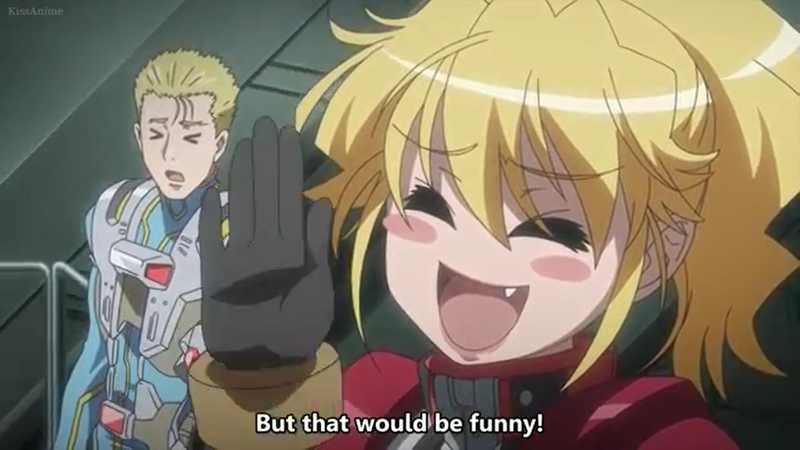 For a long time I only ever imagined how it would be like for her to make stupid jokes out of everything while actually being serious AND joking at the same time. Well. Imagine no more. The anime kind of portrayed that one thing right. She's perky, she's adorable, she's serious, and she's excellent (pun intended). 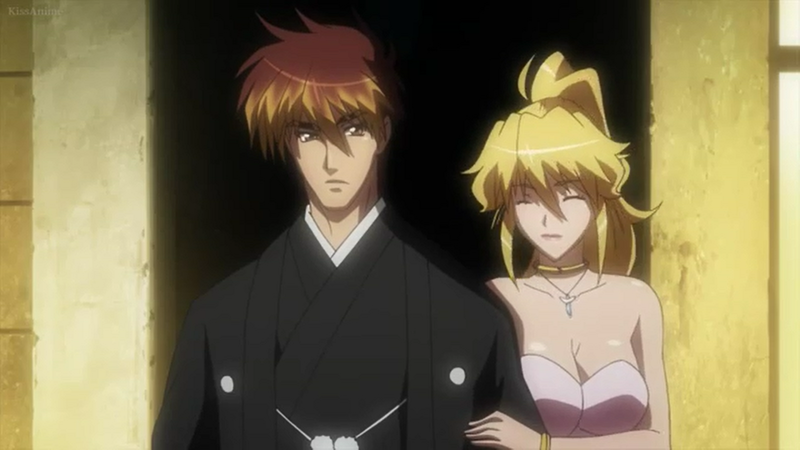 Even more reason if you are one of those guys who ships him with Kyousuke but haven't seen any action between these two idiots despite the fact that they have a "level 2 love relationship" according to the latest OG installment, the Gaia Saviors. In this anime, there's a little bit of that too. I take what I can get. 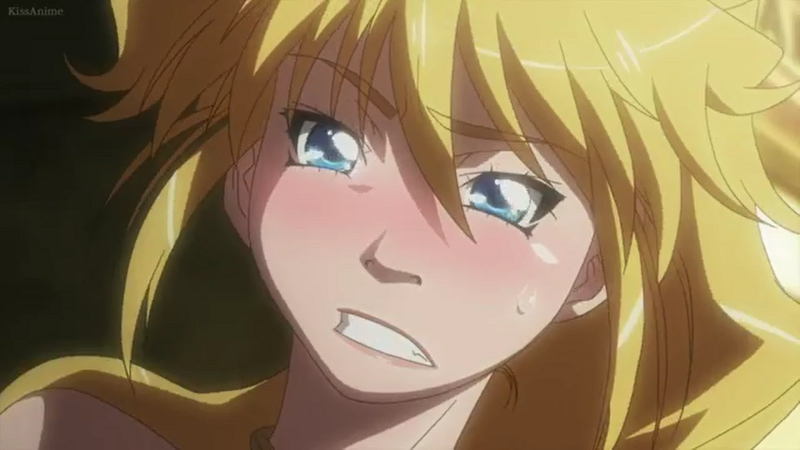 She blushes a lot in this anime. Really. Scroll down. I know I know. 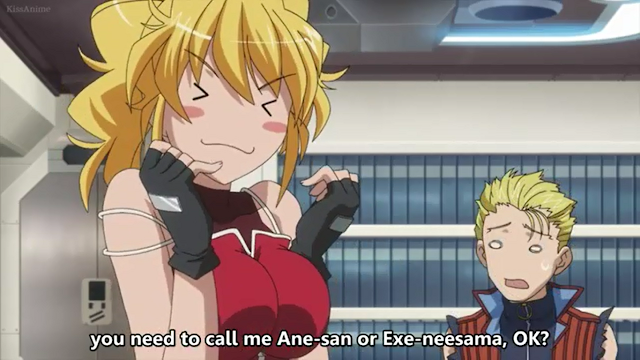 Some of these facial expressions she makes is kind of awkward but I take what I can get. Won't you? I said it several times and I'll say it again. 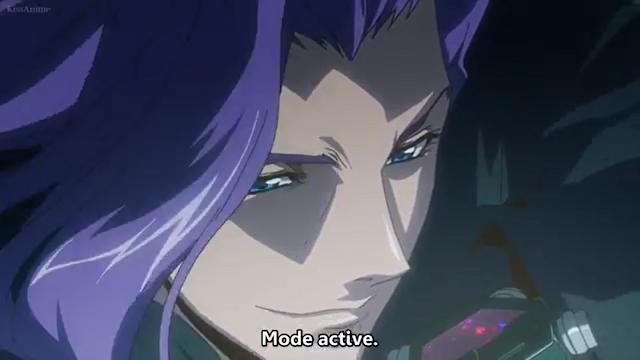 This anime is purely fanservice for those who have played the game. 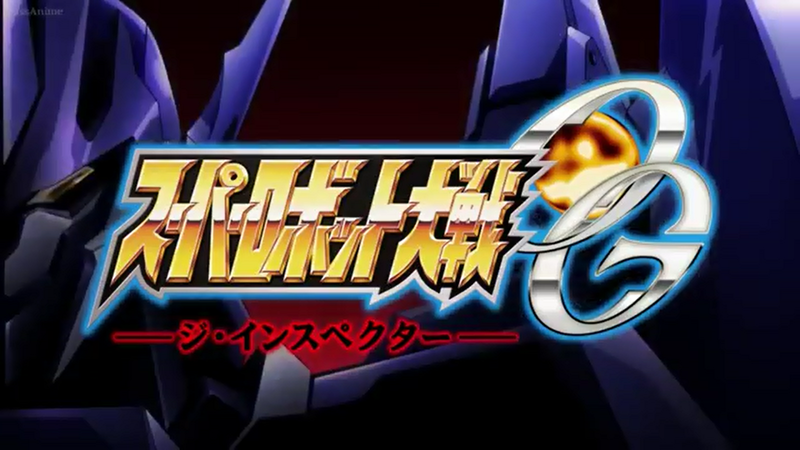 It is not as bad as Gundam Reconguista but still, there are a lot of other animes that you can try watching instead of this one. Oh and just so nobody is kept wondering, I skipped SRWOG Divine War's review because that one is actually much much worse than this installment. The anime started from Ryusei's route, which I hated so much when I played the game and even more when I watched the anime. You get a very emo and childish Ryusei and a VERY CLICHE way to start a mecha anime. Boy gets attacked. Boy stumbles upon robot. Boy pilots robot. You get the idea.